Who or what got you interested in design? When I was really young I used to copy Garfield comics so I was influenced a lot by the neatness of Jim Davis’ illustrations. As a teenager I used to teach myself how to draw Major League, NBA and NFL logos, so I was always interested in combining custom type and characters to form really tight compositions. How has your upbringing and or environment inspired you or shaped your design process? What kinds of projects do you most enjoy? Any project where I am involved from beginning to end and learn something in the process. Who or what are some of your design inspirations? I am more inspired by architects and product designers more than by any contemporary illustrators or graphic designers. You can’t go past the Eames’ for expressing pure design. I really love Ron Arad’s ability to cross genres and use of materials. Wonderwall (Japan) do amazing interiors. Talk about your creative process. I try to focus on the best solution for the client, not padding out my portfolio or ripping off whatever is hot in design at the moment. Keep it real basically. Does music play a role in your design process? In an ambient sense, definitely. I was doing a massive document layout recently and needed the calm of Massive Attack to help me concentrate and sit down at my desk for long enough. When I need to inject a more pop vibe, something bouncy like Chinza Dopeness does the trick. I grew up on 80s/90s metal. It’s totally not what I’m into now, but I’ll always have a soft spot for the 80s Iron Maiden and Metallica covers. EDDYYYYYY!!!! I bought the J Dilla Donut Shop album just to look at (and for the slipmats). I LOVE all the Gorillaz album artwork. 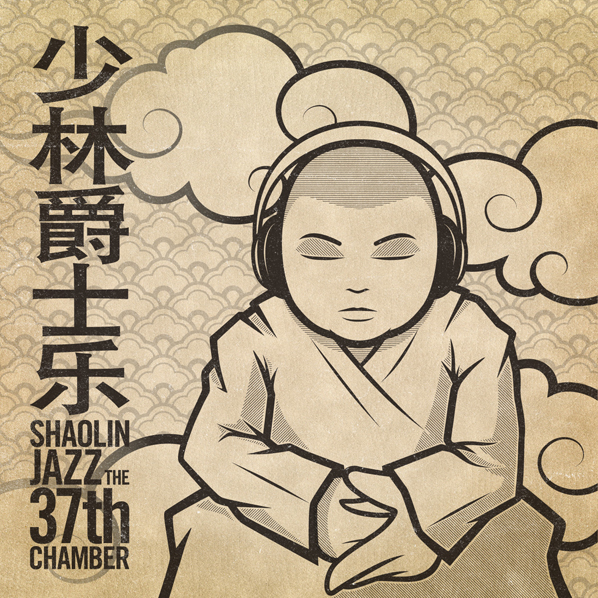 How did you go about designing your submission for the SHAOLIN JAZZ – Album Cover Design Contest? Well I listened to the album before putting pen to paper. An image popped into my mind and I sketched a ten second thumbnail. I was happy with the composition straight away. After that I jumped straight into Illustrator to draw the character and clouds, added the Chinese tile pattern then added some texture in Photoshop. It came together really easily which doesn’t always happen. Did the music from the project influence your design? If so, how? The music sort of set the mood, the tranquil expression on the monks face contrasts with the graff style linework… like how the album switches from smooth Jazz to rough Wu Tang rhymes. Was your creative approach with this project different than others? Every project is a little different, but the essential point is always the same – focus on what the best solution is for the project, don’t jump on bandwagons or resort to formulaic approaches. What are you some of your upcoming projects and where can people see your work? 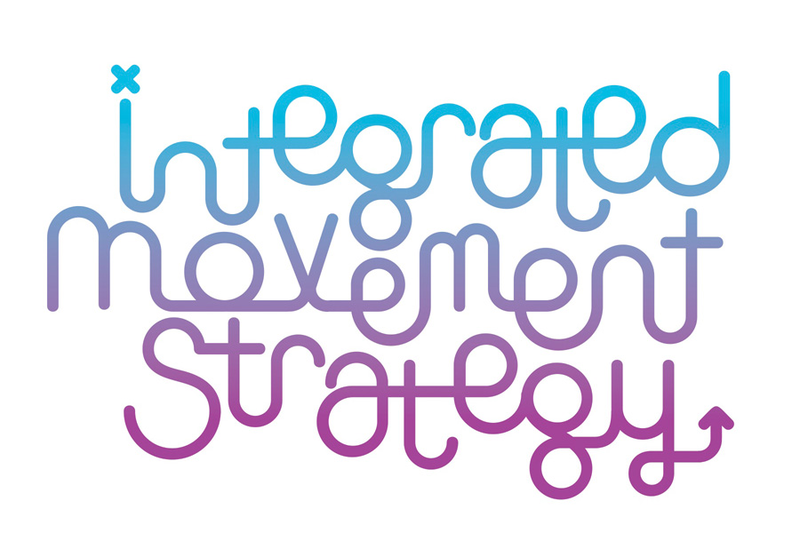 I’m getting on a lot of public art and environmental graphics jobs at the moment, which I love. Maybe opening a curry shop just for something different… keep posted at http://befriendly.net. 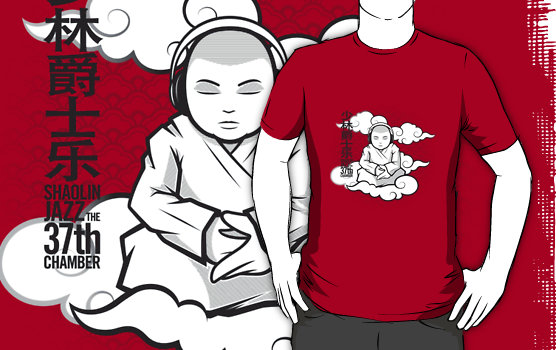 Click here to purchase Matthew’s SHAOLIN JAZZ inspired graphic T-shirt. *SHAOLIN JAZZ – PHILA Listening Party – Fri. Sept. 30th. Click here for details. Posted on September 19, 2011, in Uncategorized and tagged album cover t-shirts, chris lo, hip hop art, hip hop t-shirts, jazz art, jazz t-shirts, matthew stuckey, rap t-shirts, record cover t-shirts, shaolin jazz, shaolin jazz product, shaolin jazz t-shirts, shaolin jazz the 37th chamber, the 37th chamber, vintage t-shirts. Bookmark the permalink. 2 Comments.